You've got your dress. YAY! Now, get your girl squad ready. It's time to find their bridesmaid dresses. Here are some things you should know when shopping for your bridal party. If you have out of town bridesmaids, no worries. They are able to call in their payment and send their sizing information/size selection via our special order contract. We recommend them going to be fitted at a bridal store that is close to them (be sure to call ahead as some may charge for this since you aren't ordering a dress from them). We place your bridal party order when we have a minimum of half down on each order, and a special order contract for each party member (which includes their size selection). Placing the order together ensures there will be no variation in the dye lot. 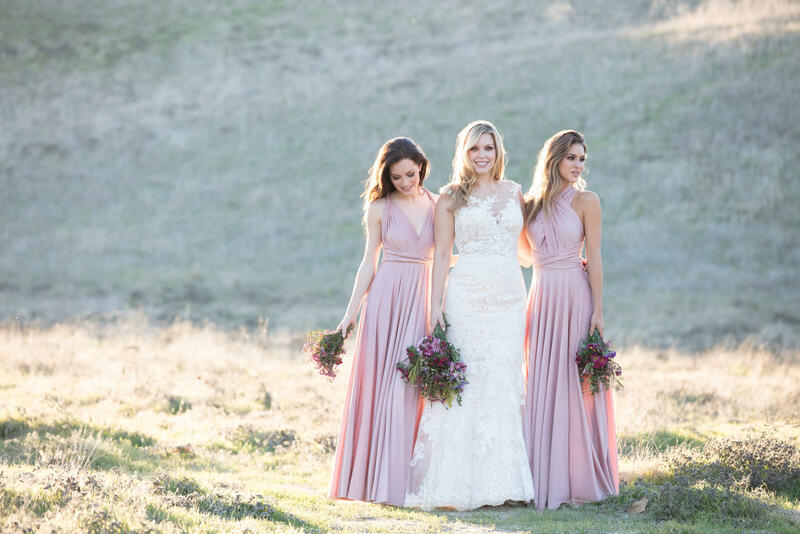 If your bridal party is ordering dresses from us and you would like a complimentary color swatch of the color your girls are wearing, just ask!